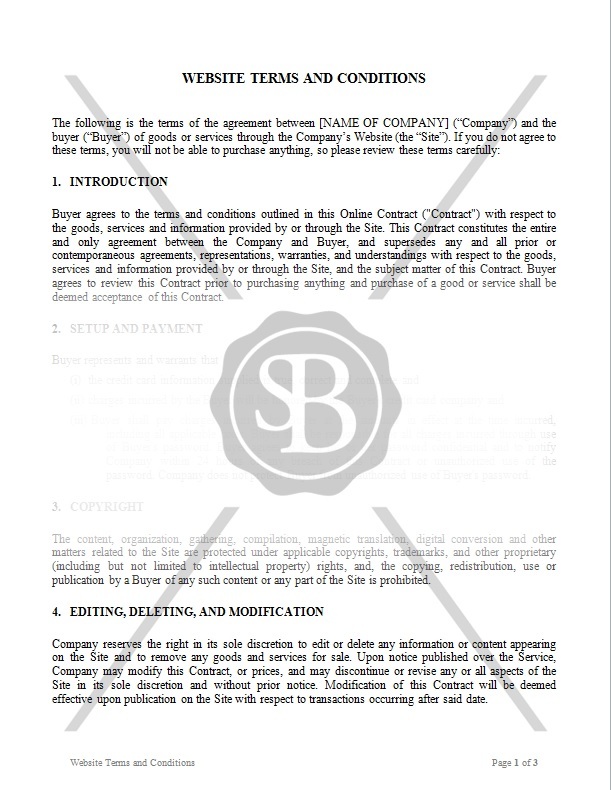 This template is used to outline the terms and conditions of a website. The client must agree to these terms before purchasing a product. Use this document for defining your website's terms and conditions.